CHICAGO, ILLINOIS. 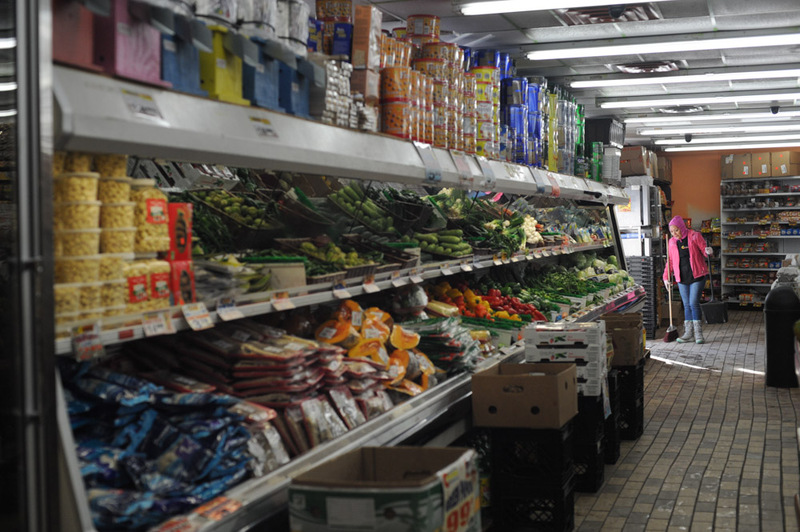 A clerk sweeps near the entrance at the end of the produce section at Central Park Produce at 3604 W. Division in the Humboldt Park neighborhood on January 5, 2015. AT Central Park Produce, a gallon of milk is $3.79, a carton of eggs is $1.99, a pound of ground beef is $3.79, a can of tuna is 99 cents, and a loaf of bread is 99 cents.